Keeping warm in your den, bedroom, or other small space couldn’t be easier. 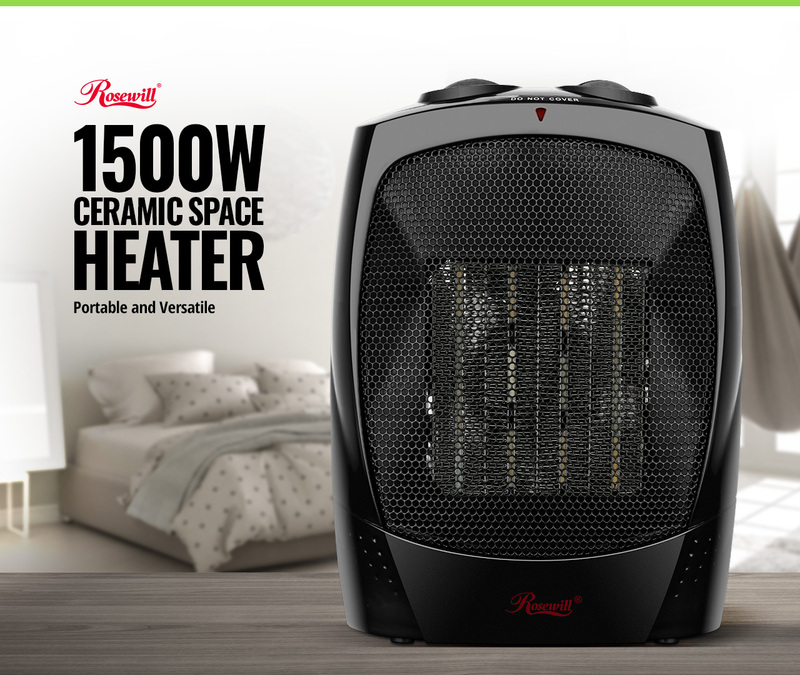 The Rosewill RHAH-13001 Heater comes with 1500w power and Fan/Low/High settings for different needs. The adjustable thermostat maintains the desired temperature, and the cool-to-the-touch exterior makes for easy operation. And with the safety tip-over switch and overheat cut-off protection, you’ll enjoy a reliable and comfortable warmth in the cold winter. Set the heater to your desired temperature by adjusting the thermostat knob between Low and High heat, up to 1500 watts. When the weather warms up, simply switch to the Fan Only option for refreshing air circulation. Featuring heater housing material that stays cool to the touch, plus an automatic tip-over shutoff switch so you can quickly warm up with peace of mind in any small space of your home or office.